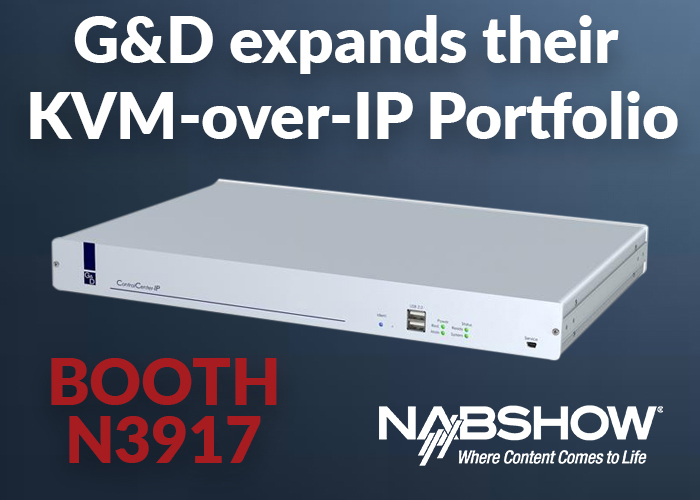 G&D will once again be presenting cutting-edge KVM equipment for broadcast professionals at NAB Show in Las Vegas. This year, visiting the G&D booth will be particularly interesting since the German manufacturers are expanding their extensive KVM portfolio with the new ControlCenter-IP and thus taking their KVM-over-IP™ product line to a new level. DP1.2-Vision - 4K video transmission via optical fibres or CAT cables including matrix support. DP1.2-VisionXG - Uncompressed high-end video transmission of 4K and 8K at 60 Hz.